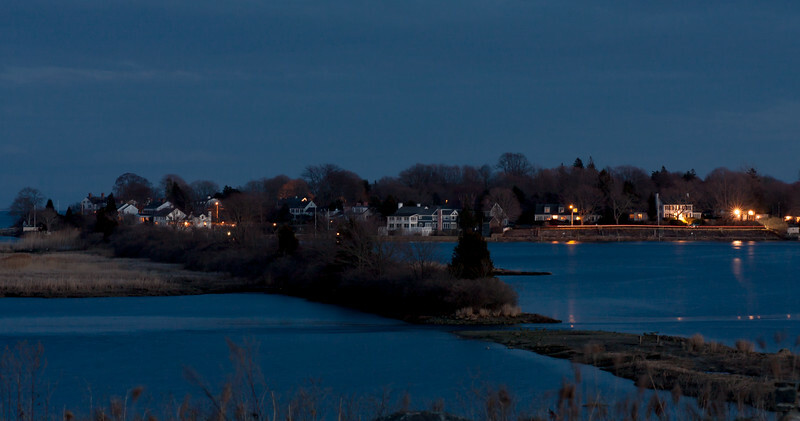 Iconic images of Old Saybrook, Connecticut. The old railroad bed at night. Headlights along the waterfront road.